PRIVATE hospital operator Ramsay Health Care will waive hospital excess fees and payments to make it easier for struggling farmers to access treatment. Ramsay operates 73 facilities across the country including St Andrew's Ipswich Private Hospital. Eligible farmers and primary producers who present to hospital for treatment between October 1 this year and March 31 next year will be able to access these discounts. The offer will be available to people who are privately insured, whose farm is located in a drought-declared area and who receive the Federal Government's Farm Household Allowance. Ramsay Health Care Australia CEO Danny Sims said the organisation wanted to help reduce some of the stress for farmers who needed to access health care treatments. "The lack of rain is having a severe impact across New South Wales and parts of Queensland, Victoria, South Australia and Western Australia. As an organisation, it is important to contribute to relief efforts. Our motto at Ramsay Health Care is people caring for people, and that includes farming people," Mr Sims said. 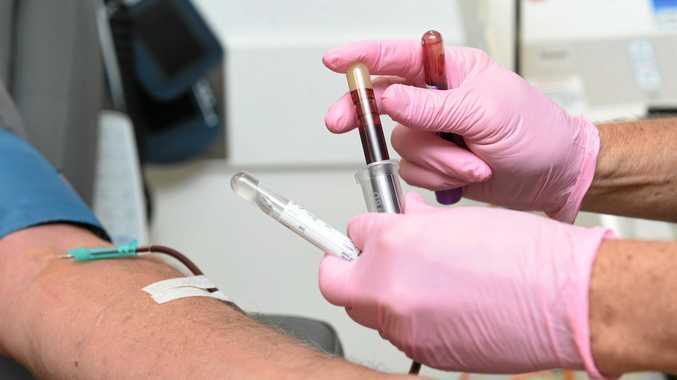 "Coming to hospital can often be a stressful time for people under normal circumstances, let alone for primary producers who are undergoing testing times through no fault of their own. "We want to make it easier for drought-affected families to seek the care they need." The initiative is part of a wider Ramsay Health Care strategy to provide assistance to farmers. It will include the delivery of mental health assistance to local farming communities. "In many instances, the drought is not only leading to financial stress for primary producers but is also taking a toll on the state of their mental health. We want to offer our support to help alleviate some of this burden," Mr Sims said. Staff fundraising activities will also be held during this month in Ramsay facilities across the country, including at St Andrew's Ipswich Private Hospital. Employees are being encouraged to wear farmer attire in addition to their normal uniform, and each person will donate $5 to take part in the event. Mr Sims said the company would match the amount of money raised by each site and donate the funds to Rural Aid, which operates the Buy A Bale campaign. News New Heritage Estate Wines owners Robert and Therese Fenwick are excited to celebrate the good life on the Granite Belt. News Football season kicks off on Saturday.